Streamline Art Moderne architecture in premiere east Boise Foothills location: it is Boise's "Ship of the Desert". Premiere commercial-style construction features high quality finishes & amenities. Interior spaces emphasize views and provide generous room sizes for living & entertaining. Gourmet kitchen includes upgraded Dacor appliances, center island with Carrera marble & honed granite complimenting countertops. 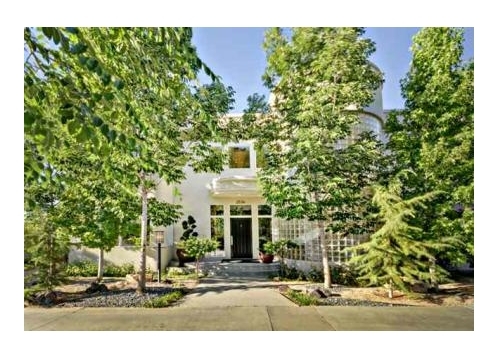 Spectacular foothills views unfold for miles; fabulous main level bow shaped view deck.